Diamondback Beer is located in McHenry Row – a modernized industrial property formerly used as a distribution center for the Coca Cola Company, and most recently as a manufacturing and distribution plant for Phillip’s Seafood. The site and building was recently refurbished by the 28 Walker Development team, with a mixture of Housing, Office Tenant Space, Retail spaces, and Food offerings. One of the more difficult spaces in the existing building had a sub-basement attached to an old furnace room with a large brick masonry smokestack. The furnace room is accessible from the outside grade, and thus had to be the point of entry into the tenant space. 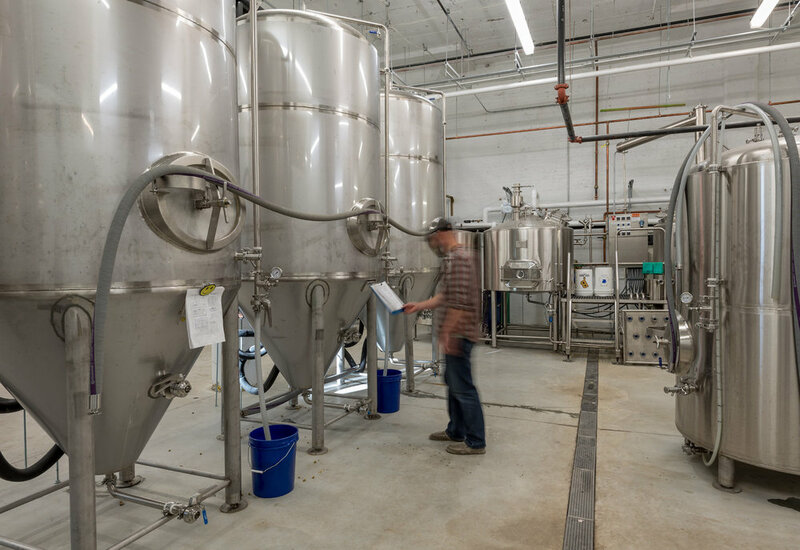 Not many programs fit with the sub-basement – but the brewery offered the opportunity to split the program into a manufacturing area and a tasting area, accessible by the public. The main service bar focuses on the smokestack to complement the qualities of the space. Some well-placed overlook windows provide the visual connection to the brewery housed in the sub-basement, visible at all times from the bar area - a connection between brewing and tasting, work and play, is ever-present. 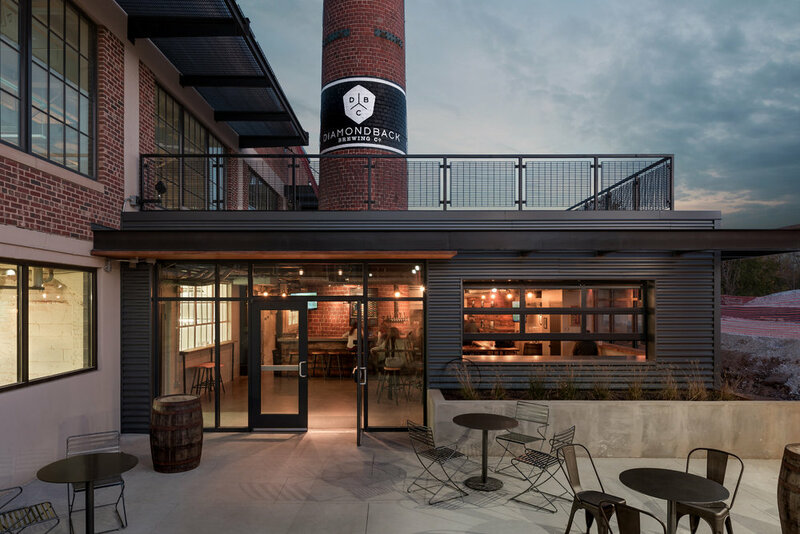 The entry courtyard and smokestack branded with logo provides the brand/identity that have made this into one of the more popular places to go to in Locust Point. Diamondback has already expanded the brewing operations by adding new tanks and a canning line into its manufacturing area, after being open just over a year.